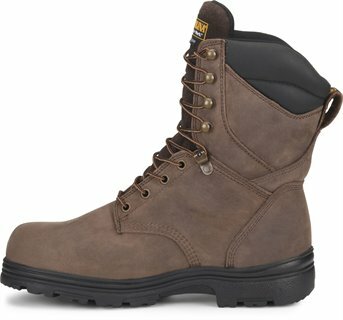 Solid shoe with good durability in most environments. Nice boots just half size small. Delivered on time, boots fit great. Placing order was easy. 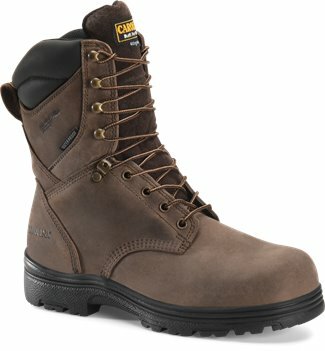 I ordered 30 pairs of these for my crew because we needed steel toe electrical hazard rated boots for the job we are on. Out of 30 pairs all but 3 guys boots did not fit them good, I think that is a pretty good outcome. They are stiff like any new boot but break in just fine. Very well made. Great value and made in the USA! My boyfriend loves these boots. This is the second time I am getting them for him. I got these boots for my son. He LOVES them, but they did run a bit big. Returning for 1/2 size smaller. The boots are fantastic- my boyfriend loves them. He is an ironworker, so he has specific needs and these fit the bill perfectly. I am more impressed with the service- I ordered them in the evening and we got them in two days! Plus the price was fantastic. I may order him another pair for that reason alone. I will definitely be using Shoeline.com again! Great price and super fast shipping! Will order again through this website! A1 boots and A1 service. Thank you shoeline.com!